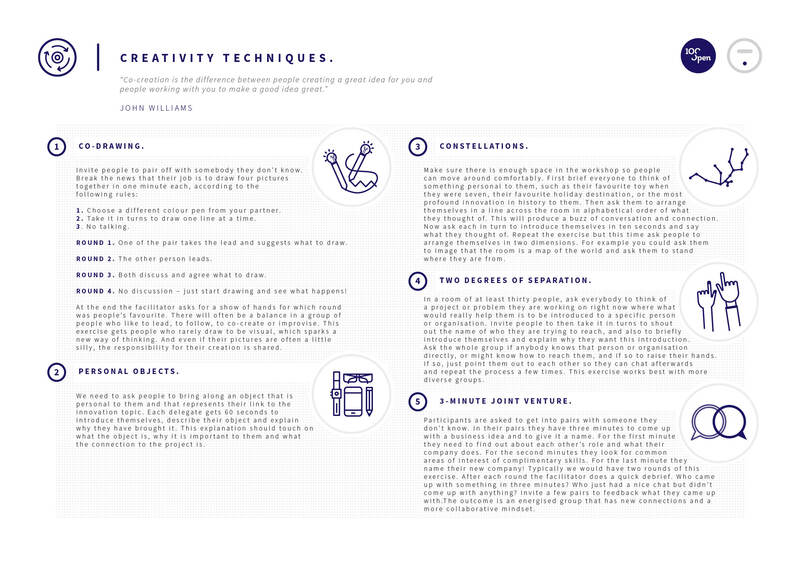 Creativity Techniques is a compendium of techniques that involve working with others. These techniques will ensure a productive session and are used for anything from lateral ideas to new business models. You’ll also find collaborative warm-up techniques to use early on in a workshop to promote a creative and collaborative mindset. "Co-creation is the difference between people creating a great idea for you and people working with you to make a good idea great." We review these 10 proven collaborative ideation techniques and select up to three for our workshop. They are grouped into 5 that tend to be better for lateral thinking and having new ideas, and 5 that tend to be better for developing ideas and iterative thinking. 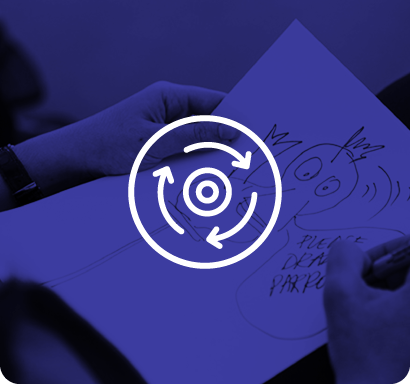 Review and choose suitable warm up and creative techniques when using the Jam Designer, irrespective of the workshop objectives as these techniques work just as well for new business models as NPD ideas. Looking forward to applying tools in Central America!